Here at Hoffman Floor and Home, we take pride in offering the best quality products and excellent customer service. It has been our pleasure this year to bring our customers the flooring they’ve always dreamed of having in their home. 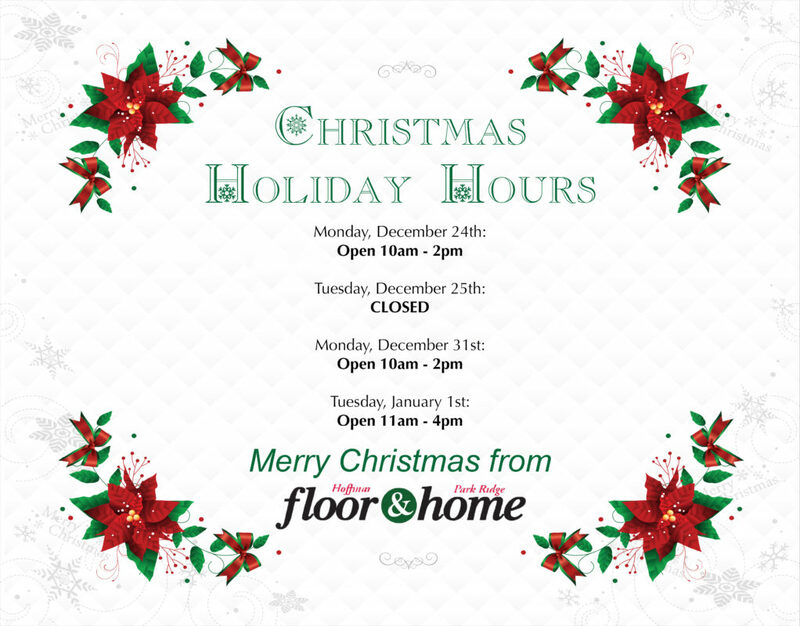 We would like to take the opportunity to wish all of our customers, friends and family a happy holiday season and we look forward to providing you all with the best in home flooring solutions for years to come. This entry was posted in Blog, Flooring and tagged Floor and Home, Hoffman Floor and Home, holiday message, NJ, Park Ridge, Park Ridge New Jersey, Park Ridge NJ, Westwood, Westwood New Jersey.